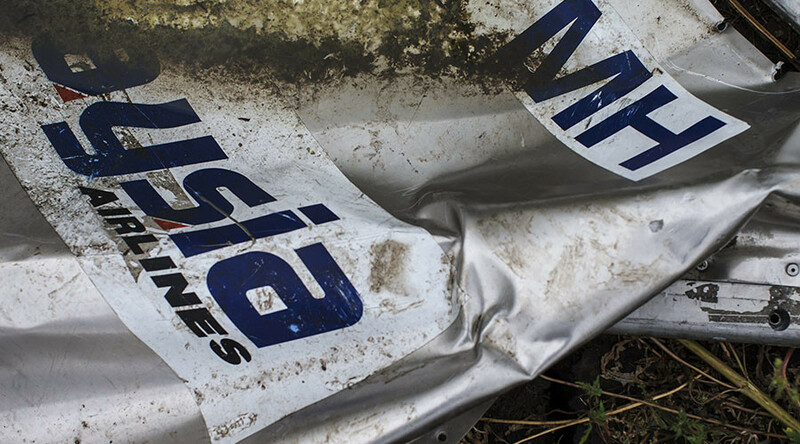 The Dutch safety board and the maker of BUK missile systems, Almaz-Antey, release their separate reports on last year’s downing of Malaysian Airlines MH17. We're following the Almaz-Antey report on MH17, watch live feed. Russia’s Interstate Aviation Committee (IAC) said in a statement on Tuesday that it failed to receive both the preliminary Dutch report and the final one. It said that the IAC was not involved in the MH17 crash investigation. One of the IAC experts was invited by the international commission to aid in the the decryption of the MH17 black boxes in August 2014. The MH17 flight was downed from a rebel-held area in eastern Ukraine, Tjibbe Joustra, head of the Dutch Safety Board, said speaking in the Netherlands’ parliament, TASS reported. Speaking at the DBS conference earlier in the day, he did not specify to which side in the conflict the territory belonged from which the missile had been fired. The Dutch Safety Board (DSB) both ignored Russian BUK missile producer Almaz-Antey’s results and failed to accept an invitation to Russia to study materials relating to the MH17 crash which had remained in the possession of the arms manufacturer, spokesperson for Russia’s Foreign Ministry Maria Zakharova said in a statement on Tuesday. She added that analytics provided by Rosaviatsiya (Russia’s aviation authority) and submitted to investigators were disregarded as well. “That is why serious doubts [exist over whether] ... the investigation conducted in the Netherlands was aimed at establishing the real causes of the plane crash, rather than justifying the previously-made accusations,” she said. “We were barred from the investigation under various pretexts. And all of a sudden, Russia's cooperation became necessary after the Dutch Safety Board published the report with 'ready' conclusions,” she added. She also questioned the peculiarity of the fact that the discovery of the missile wreckage was made a year after the crash. She added that before the discovery it was reported that almost all of the debris from the crash had been recovered. British Prime Minister David Cameron says the report released by the Dutch Safety Board advances the search for the truth regarding how MH17 was downed. “We have always been clear that justice must be done for all of the victims of MH17 and today’s report brings us one step closer to establishing the truth. We, alongside our partners, will continue to send a clear message; those responsible for downing this plane will be held to account,” the PM said in a statement. The Malaysian Transport Minister Liow Tiong says that members of the Joint Investigation Team (JIT) are considering setting up an independent international court to try and effectively prosecute those responsible for the downing of flight MH17. "As part of the JIT, Malaysia remains single-minded in our pursuit of decisive action that will lead to prosecution of the trigger-happy criminals," he said. Aside from Malaysia, the JIT also includes Netherlands, Belgium, Ukraine and Australia. The MH17 investigation will not be completed in 2015, the Dutch safety board said. The Dutch report on the MH17 tragedy doesn’t have substantial evidence to claim the plane was downed from the area controlled by eastern Ukrainian militia, Russian Deputy Foreign Minister Sergey Ryabkov said. "It's a source of regret that, despite all Russia's repeated and lengthy attempts to organise the investigation in such a way that it is comprehensive and unbiased, and for it to consider all the information we have ... there is an obvious attempt to draw a biased conclusion, and carry out political orders," Ryabkov was quoted as saying by Russian news agencies.